It was my job to set the tone for the show. The idea for the titles was a portrait of a man and his time. 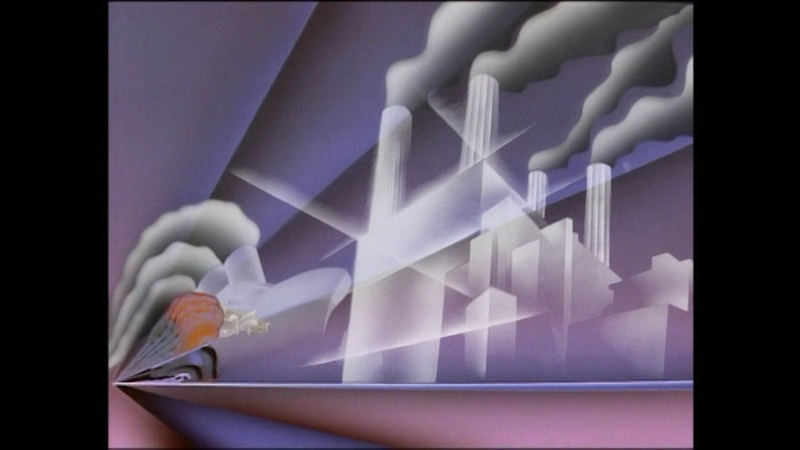 The late Mike Oxley — or “OXO” as we called him — was the production designer and we put our heads together and found we were both thinking about Art Deco as a stylistic theme. I had some old architectural magazines with all those wonderful buildings of the ’20s and ’30s, with architectural plans, and that was my original inspiration. I wanted to make it all look exactly like architectural photography from that time. They had a wonderful atmosphere. But I wasn’t able to quite achieve that look, partly due to budget and partly to not having a clue! I had to find another way, so it became Art Deco–Cubism. 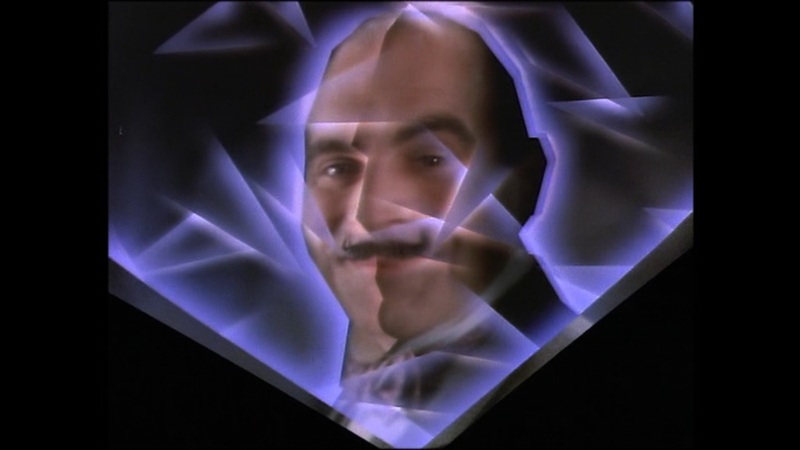 I liked the idea of the fractured, multifaceted Cubist style because it reminded me of a puzzle and this is of course what Poirot does — he solves puzzles. Making Poirot himself a bit of a puzzle seemed to describe the man and what he does. Brian Eastman, the producer, and David Suchet, the actor who played Poirot — brilliantly, I might add — both agreed and gave me the green light. David was very helpful during the filming. He was a joy to direct. For the music, I spent time with the composer, Chris Gunning, who was taking his ideas from Rachmaninov and composers working in the ’20s and ’30s and I showed him my thoughts. 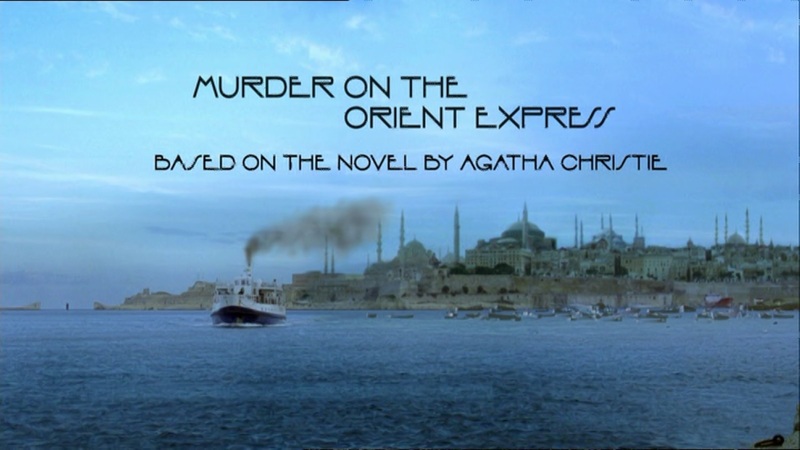 For the Cassandre-style trains, boats, and planes with Poirot’s name formed by the wheels, I gave him the storyboard plus some visuals and he worked closely to them. He was great to work with, very responsive. He gave me a track that fit like a glove but also had its own independent voice. I never like to force composers to bend to the visuals because their art is more temporal than the visuals. Like, how long does a painting last? But music has natural cadences and rhythms that can drive a visual and give it a story, bringing it to a satisfying conclusion. In effect, it is the script. P.S. 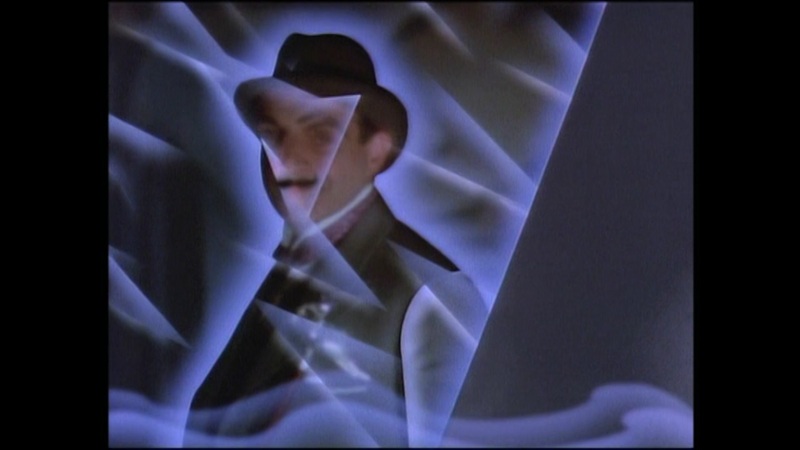 There's a lovely reference to the title in the adaptation of The Murder of Roger Ackroyd, in which Poirot - at the beginning of the episode - enters a dark bank vault. 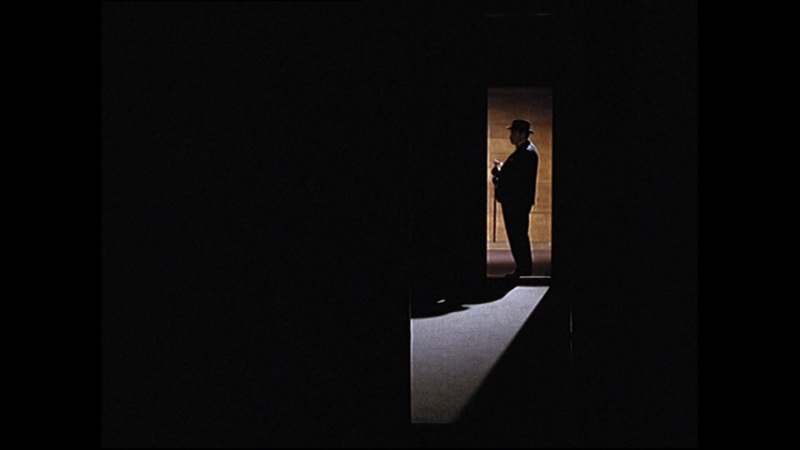 As the lights appear, one by one, an eagle-eyed viewer would notice that the lamps in the ceiling are very similar to the ones in the original title sequence. 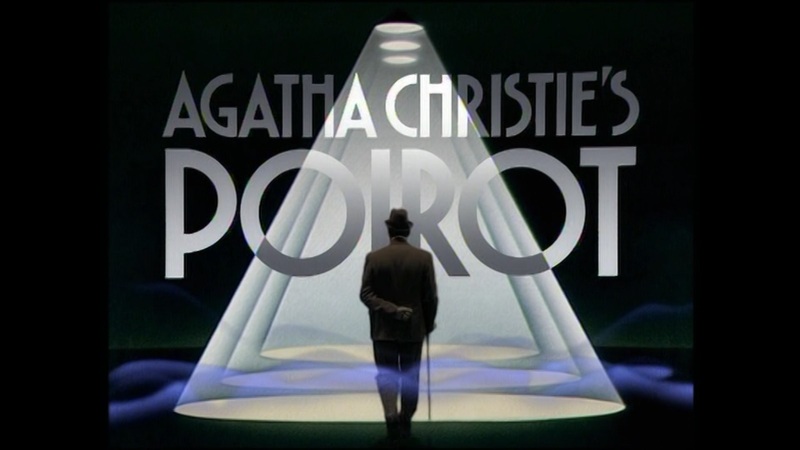 In the final scene of the same episode, as Poirot leaves the dark room, his pose is almost the same as in the end of the title sequence (see below). 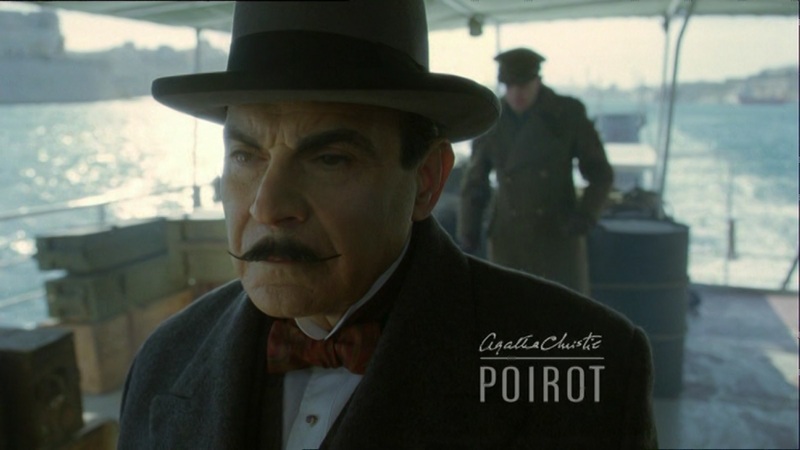 What a wonderful way for Poirot to return to the screen after a five-year hiatus! 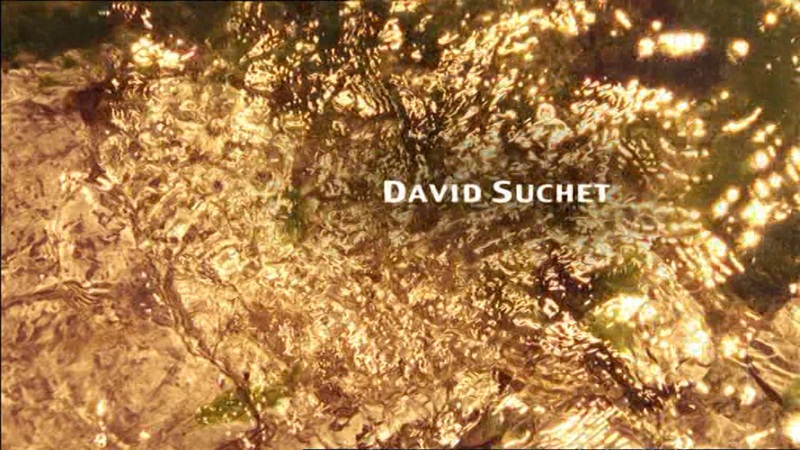 When the series returned in 2003 (without the involvement of Pat Gavin), there seems to have been some confusion as to what the title sequence would be (i.e. how the title of the episode should be shown). For Death on the Nile the team chose a strange red thing (possibly to give it that 'feature-length-film' feel?). 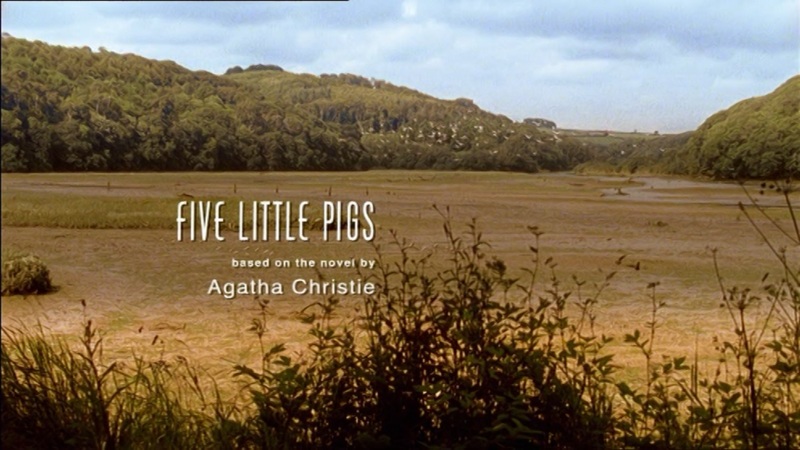 For Five Little Pigs, The Hollow and Sad Cypress, they went for a slightly updated version of the white art deco font from the first eight series (adjusted to the colour of the opening scenes, see examples below). 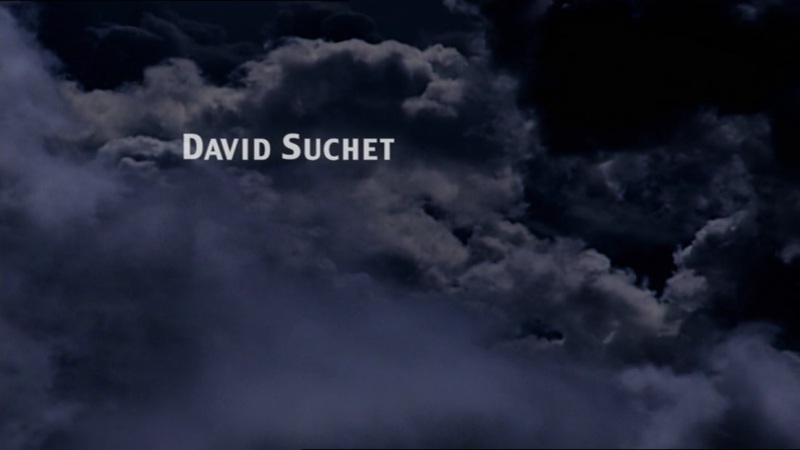 Since Series Ten, however, the team have stuck to the updated white font, apart from the adaptation of Murder on the Orient Express, in which they went for an entirely different font altogether (which in a way makes sense if they, like with Death on the Nile, the other really famous story, wanted to create a big-screen feel (as far as way from 'television series' as possible). P.S. I personally think the opening sequence for Five Little Pigs is the best of the post-2003 titles. Beautifully shot, with fantastic colours and Gunning's brilliant score. 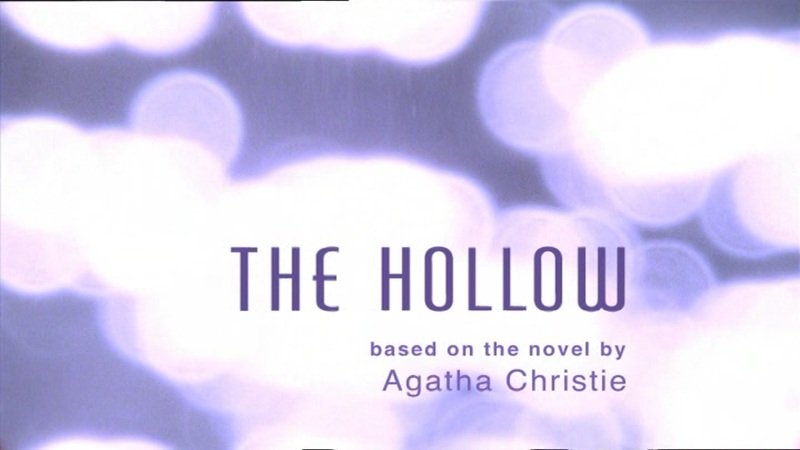 The title sequences for Five Little Pigs, Sad Cypress, and The Hollow are my absolute favourites in the post-2003 era. 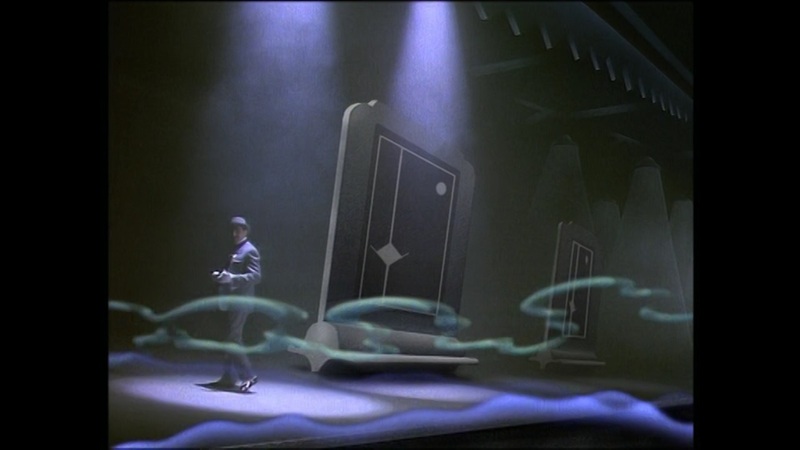 Not only are they visually beautiful, but the way they're introduced, coupled with Christopher Gunning's amazing score, take my breath away every time. 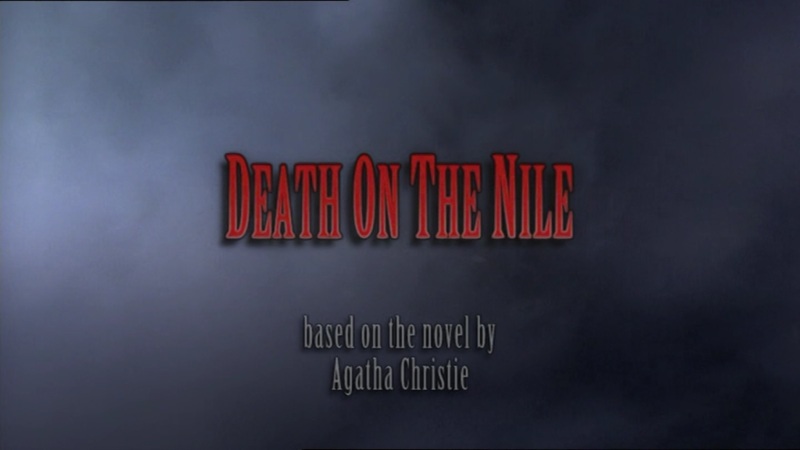 I'm not too crazy about Death on the Nile's titles, though - the red font they used was a bit too over-the-top, and the pan in from the clouds to Jackie's and Simon's bedroom is too elaborate. I do like the font they use for the new ones. Poirot himself would approve of the symmetry, heh. I just wish the titles were as stunning as the ones mentioned above. Now they just stick the titles whenever they can. 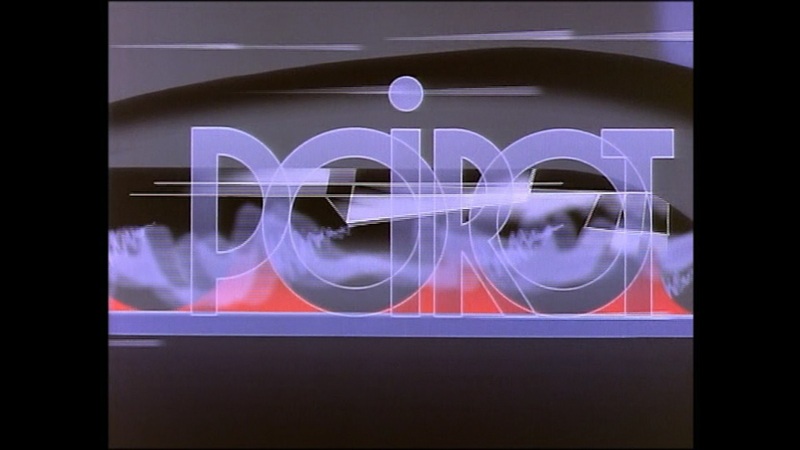 But my heart will always hold first place to the original title sequence, which is truly one of the most memorable ones I've ever seen for a television show. 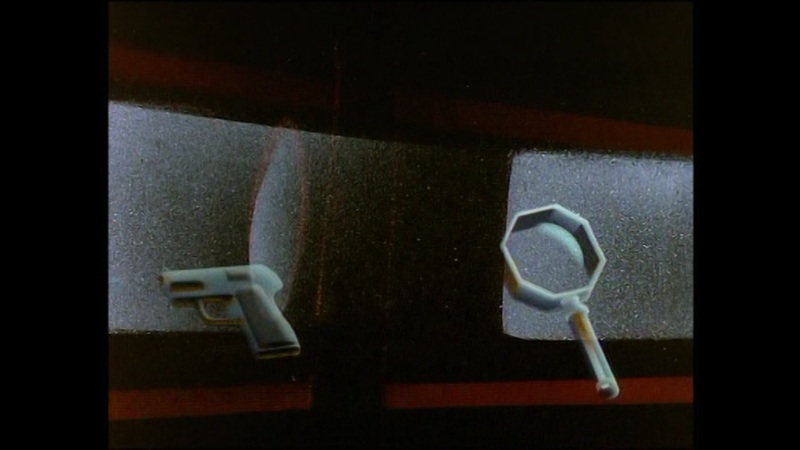 I never noticed the homage in The Murder of Roger Ackroyd - I think I appreciate that episode just a bit more now. I certainly agree, Tom! 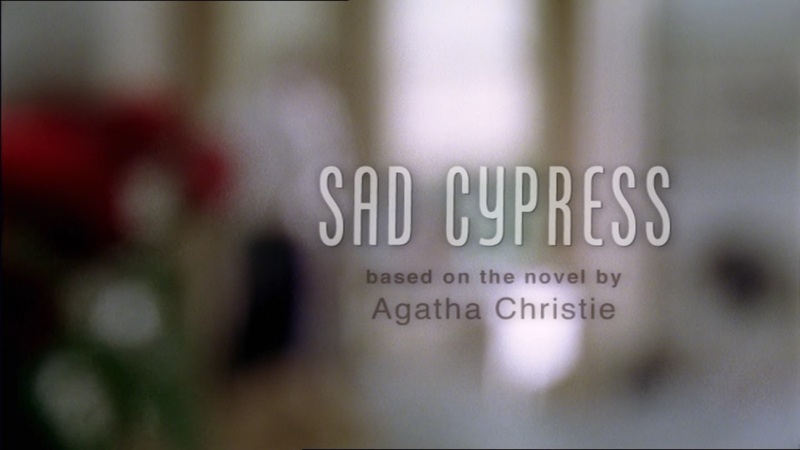 The title sequences for Sad Cypress, The Hollow and Five Little Pigs (particularly the latter) are quite extraordinarily well-composed. The new font works (and I prefer it to the one they used initially), but like you I think it could have benefited from a treatment similar to the titles in Series Nine. I didn't notice the homage in Ackroyd until recently actually. Easy to miss, but quite nice when you actually discover it. - The actors who are given credit at the beginning are not in alphabetical order - the first time since 2006, I believe. Instead they follow a similar structure to the 2003 episodes: the actors are 'paired' (more or less) with their onscreen partner(s). The order was such: Alexandra Dowling & Iain Glen; Ferdinand Kingsley & Vanessa Kirby; Greta Scacchi, Vincent Regan & Danny Webb; and Zoe Wanamaker (her credit, for the first time ever, is not centered in the middle of the screen, but is indented to the left). Surprisingly, notable actors like Caroline Blakiston, Ruth Sheen and Adrian Lukis are only credited in the end credits. I guess they decided only to credit the major players in the story. - The usual white font is used, but somehow it looks smaller and more compact for the credits. 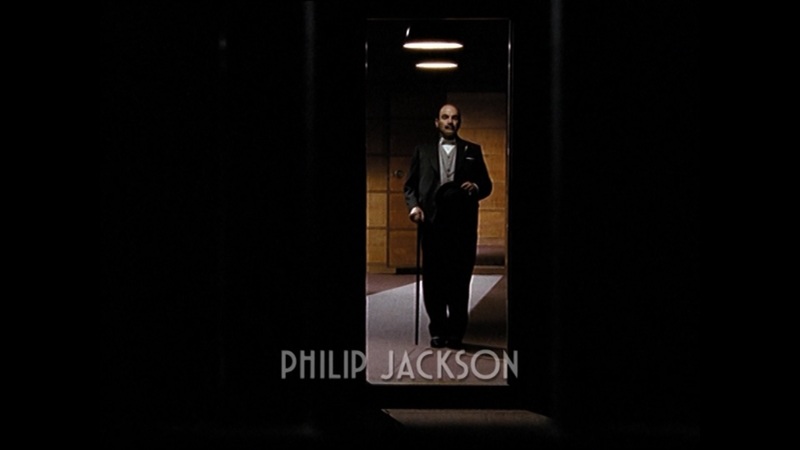 The credits in the last series, particularly for Three Act Tragedy, The Clocks and Hallowe'en Party, were much larger and more prominent than the ones used in this episode. The credits for this one also came and went much quicker. That's all I could note. It's possible the alphabetization was only off because Scacchi was credited before Regan, but we can't say for sure until the next episode airs. Thank you for this, Tom! I've managed to watch the episode now (loved it, apart from some minor quibbles I'll come back to at some point), and there's certainly a slight update of the title sequence. My guess would be the alphabetization issue is a mistake rather than a conscious decision. I mean, if they abandon the alphabetization, why not put the most famous names up front, like Scacchi? Anyway, we'll have to wait and see. As to Blakiston, Sheen and Lukis, I was just as surprised as you that they weren't mentioned in the opening credits. But, come to think of it, the production team have been quite conscious in the past of not highlighting "stars" (hence the alphabetical listing). And considering their roles are very minor, it does make sense. In any case, it's lovely to see actors of that standing in such minor roles! A testament to the quality of the productions and the reputation of the team! I've watched it twice now, and I liked it more the second time around. It's not one of my favourites in the end, but if you've read the novel, I think it's safe to say it's a big improvement. The alphabetization was probably a mistake, you're right. I think the credits of Third Girl were also not alphabetized correctly, too. It's not a big deal, but you'd think whoever does them would know their ABCs by now! I can't wait until you get around to doing an episode-by-episode review. I'd love to know what your quibbles were. :) I have a few of my own, all minor as well. I was disappointed David Yelland couldn't be in this one (for whatever reason). A lot of it was in Poirot's apartment, and pretending George was around when he really wasn't was rather silly. It's strange, though. Yelland had far less to do in other episodes. Here he could've made more appearances, at least. They did use a stand-in, though. 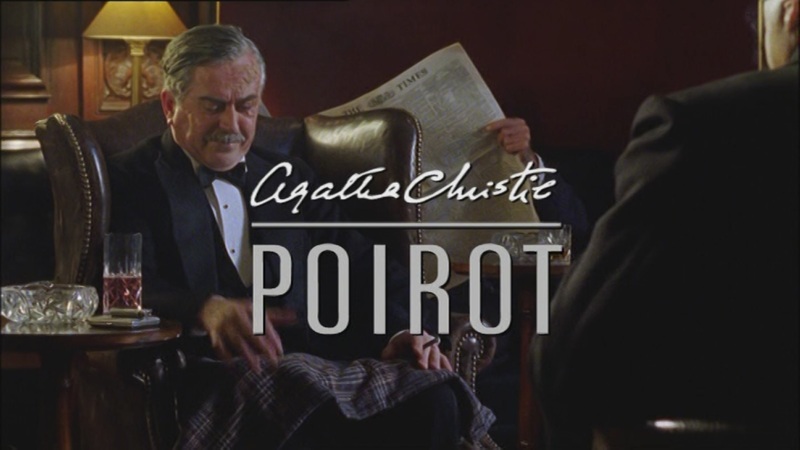 When Desmond rushes in to tell Poirot that Celia is missing, if you freeze the scene when he is let into the apartment, you can see the George stand-in for a brief second. The man has black hair, too, of all things. 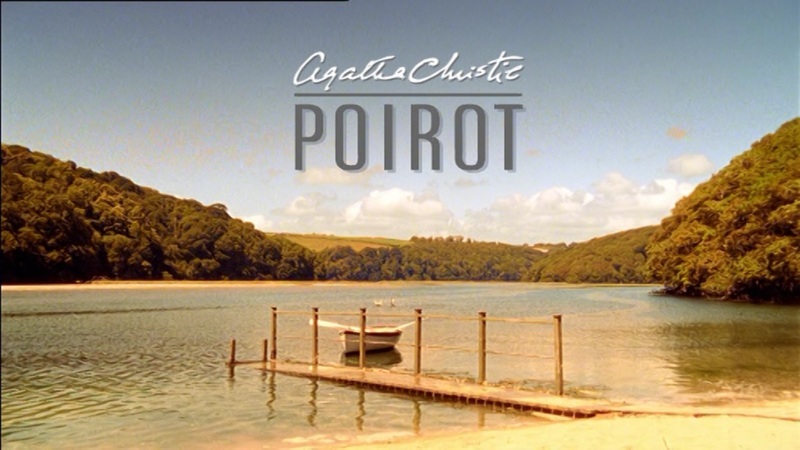 Also, did you notice that green screen when Poirot first enters Dr Willoughby's office, in the window? That annoyed me greatly. There has been a lot of green screen use in the recent episodes, but the editors have never been so careless as to forget a scene. If it weren't so obvious it wouldn't bother me so much, but the camera is on it for a good half-a-minute, and I've never before seen untouched green screen in any other show I've watched.. I emailed ITV and asked them if it could be fixed for the DVD. That shouldn't be too hard. It's certainly a big improvement on the novel. As to the episode-by-episode review - I'll try and speed things up a bit ;) I want to do them in broadcast order, and seventy episodes will take some time! Anyway, the quibbles you mention are certainly on my list too. Yelland really should have been in this one. I can only assume that he wasn't available. But at least they didn't completely forget him (even if they could have chosen a better stand-in, both for the voice and the brief cameo you mention!). I didn't notice the green screen error actually, but now you mention it I've had a second look. Truly annoying. I can't believe it slipped through in the editing processs! Just another sign that they're pushed for time these days (they finished shooting in February, so they haven't really had much time to edit). Hopefully they'll fix it for the DVD/Bluray release. All in all, though, there are more positive aspects of the episode than negative ones (e.g. 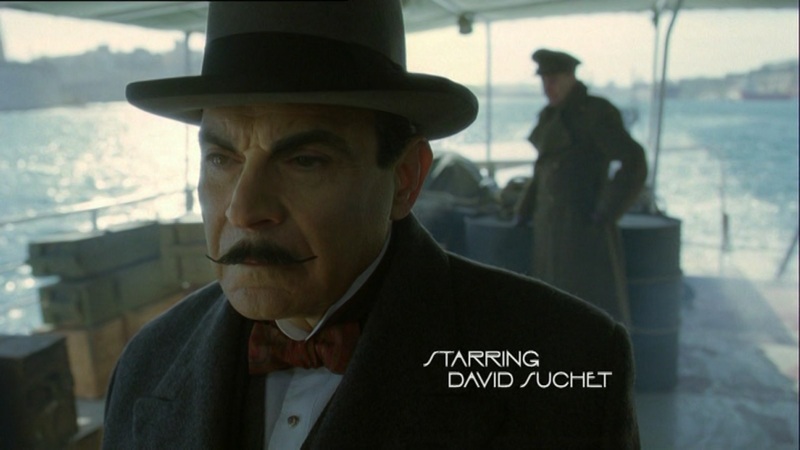 Suchet's excellent portrayal, camera work, sets (Whitehaven Mansions is always a joy! Loved the shot from above of the curved shape of Florin Court) etc. etc.). Yes, I loved the shots of Whitehaven Mansions. It must have been the most we've seen of Florin Court in ages. Was it brand new footage, and not stock from the 1980s? I think it was new, because in shot above the curve we could see Mrs Oliver's car. And Zoe Wanamaker shot scenes just outside the building, too. 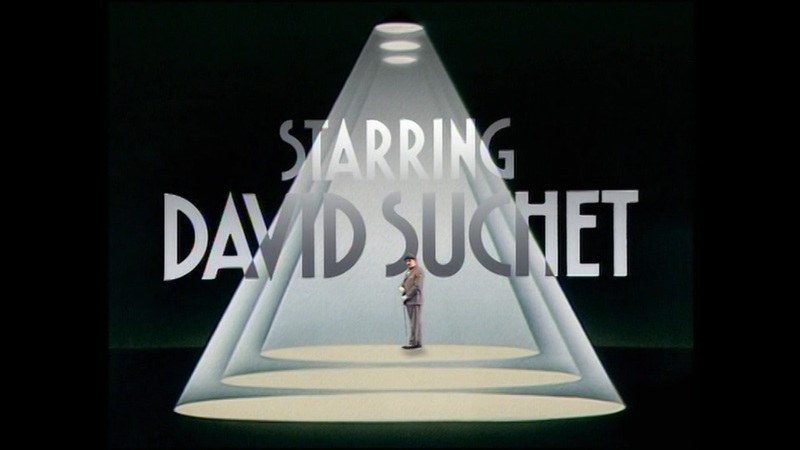 And I agree, Suchet was marvelous in this one. 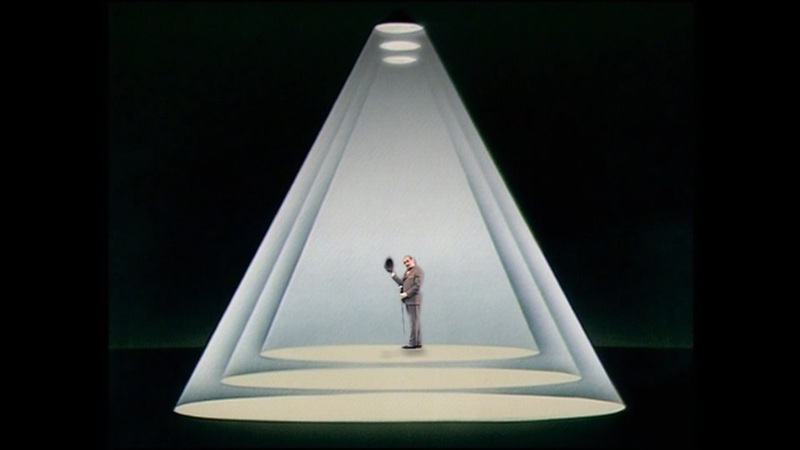 He put a lot into the performance, from annoyance with Mrs Oliver to being overworked with the Willoughby case to being impatient and flustered when he had to rush off to Paris (that 'Sacré!' when the taxi didn't stop was pure gold). And of course the delicacy and humanity he showed when he revealed the truth about the Ravenscrofts to Celia. It was exquisite. The fact that he hasn't won any awards for his performance is ridiculous. 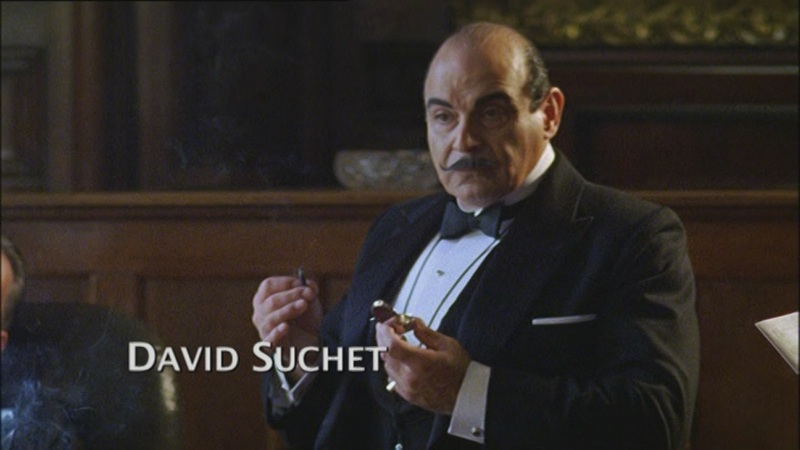 Did you notice that Poirot spoke more French in this one than in recent episodes (apart from Murder on the Orient Express, of course)? A few phrases to Mrs Oliver, an entire sentence to Marie. This is a good thing, though - in the books he plays up his foreignness in order to catch people off their guard. Dear certainly knows his source material, and it was nice to see it used not only for characterization but for comic purposes, as well (Marie's confused 'Huh?' 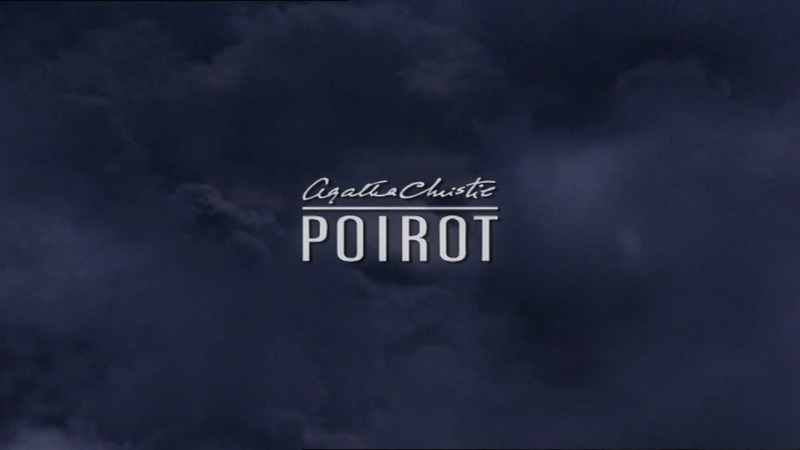 when Poirot spoke French to her made me chuckle). It was brand new footage. Some photos from the day they were filming emerged on twitter a while back (I have saved the photos, but lost the source). They filmed some new footage in 2005, but since then they've used the exact same shot (!) with different special effects, colour grading etc. That shot was in this one too, but apart from that they were all new shots. Hopefully they have some more saved up for the remaining adaptations too (Big Four perhaps?). His portrayal has so many nuances, it's an absolute delight to watch. Re-reading the short stories and books for the episode-by-episode guide (some of which I haven't read in years), I'm constantly re-discovering tiny references to things he has added to the portrayal over the years. He really is the man from the books. In addition to the things you mention I enjoyed the fact that he managed to balance the humour with the loneliness in this one (the "we will probably never marry" and touching her ring finger almost certainly comes from Suchet's input and determination to showcase that character trait). I keep hoping for a BAFTA award next year, that would be so deserved! That's true, he DID speak more French than usual, and I did notice it. His foreignness doesn't often come into it anymore (apart from the obvious "Belgian not French" thing), so it's nice to see it brought to the fore like that. I see some people have reacted to the fact that he didn't speak French in his conversation with Marie, but that's totally in keeping with the approach they've had to French characters before (Chocolate Box, Links, Blue Train etc etc). The confused moment between them was certainly quite amusing. When I get to the later episodes, Nick Dear is definitely one of the script writers I would like to highlight in some way. He seems to know his Christie, and almost all his changes are in keeping with the spirit of the stories (with the exception of the ending in Cards, I suppose). I think he is particularly succesful with the Ariadne Oliver cases, which is probably why he has been brought back to do Wanamaker's remaining two adaptations. Yes, I'd love for him to win a BAFTA. And that scene was very touching, I agree. Made me feel so sorry for him, too. Hopefully, with the reappearance of Countess Vera in "Labours," that chapter in his life will be explored further and brought to a close. Dear's definitely one of the show's most adept writers, certainly. His only misstep was with "Cards on the Table," which wasn't all too bad, except the homosexual additions did seem gratuitous and unnecessary. Otherwise his record is fairly unblemished. He writes for Ariadne Oliver very well, but so have Peter Flannery and Mark Gatiss. Her character is such a delight, and Wanamaker makes her even more so. I cannot wait to see her final appearance in "Dead Man's Folly." I hope Dear kept the novel's comic elements intact. I'd love for someone to unknowingly tell her that Mrs Oliver drinks like a fish and see Wanamaker's expression! 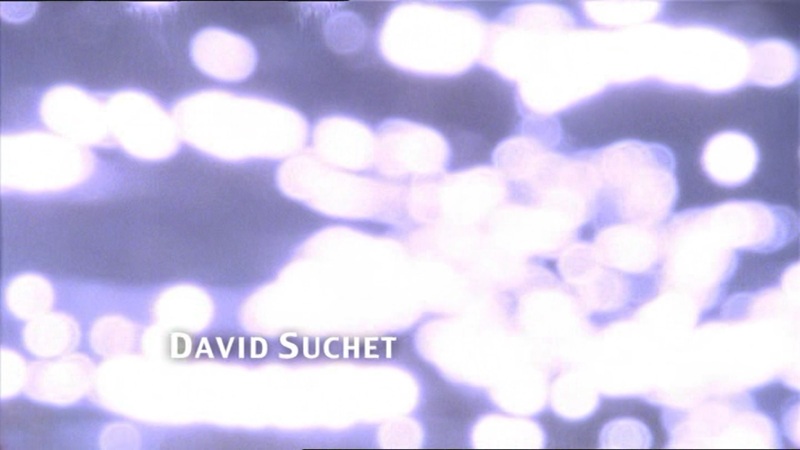 Suchet's exploration of the loneliness aspect has made the character so much more human, I would say. (That's a compliment, of course). I have high hopes for Labours, should be a very emotional reunion with Rossakoff - if they do it right. Oh, certainly, Flannery and Gatiss write brilliantly for Ariadne, too (but, of course, they're all helped by the great chemistry between Wanamaker and Suchet!). I can't emphasise enough how perfect she is for that particular character. Inspired casting, that's what it is. On a completely different note, did you notice on Twitter a day or two ago that an art library (Bridgeman Art) have licensed a painting for the final series - 'Hercules fighting with the Lernaean Hydra'? Presumably that's for Labours. Makes me wonder if they might include 'The Lernaean Hydra' after all - or certainly emphasise the mythological aspect. Would really like to have some more news on that particular episode soon! Yes, Wanamaker is perfect for the role! In hindsight I can't imagine anyone else in the role. She lifts the character straight from the page, just like Suchet does. If only Mrs Oliver were in more stories! I didn't see that on Twitter until you mentioned it. Well, that's very interesting! Maybe it will be displayed in one of the locations in the episode. I don't think the actual story will be adapted due to the lack of characters in the cast list so far, but maybe elements will be included in some way. I'm still at a loss to see how all twelve labours will be covered within the scope of 88 minutes (isn't it a pity these adaptations have gotten shorter and shorter? Why is ITV so stingy? Just a few years ago they were able to make them over 90 minutes!). I'm beginning to think Poirot's mission will be cut short somehow. Even though I'm excited for the reunion in "The Big Four," I must say that this is still the adaptation I'm most looking forward to, if not just to see how the still-unknown screenwriter has been clever enough to condense these short stories... plus "The LeMesurier Inheritance," seeing as a Lucinda Mesurier will be in it! Very interesting - as usual. 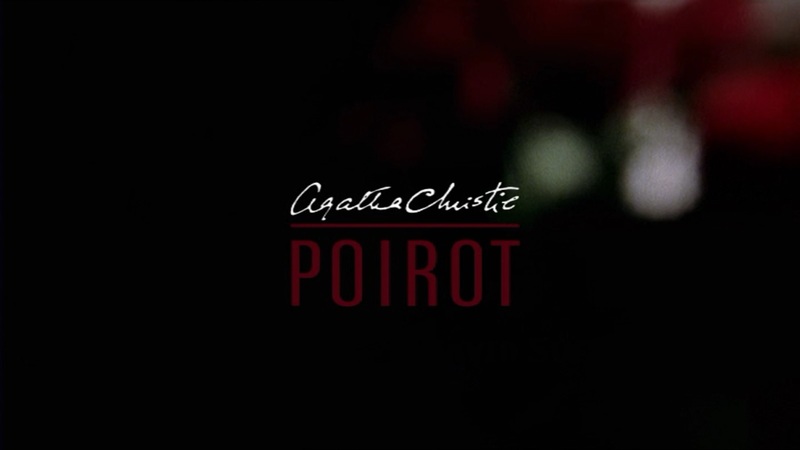 I don't like the portrait of Poirot (2nd picture) in the title design of the old episodes. 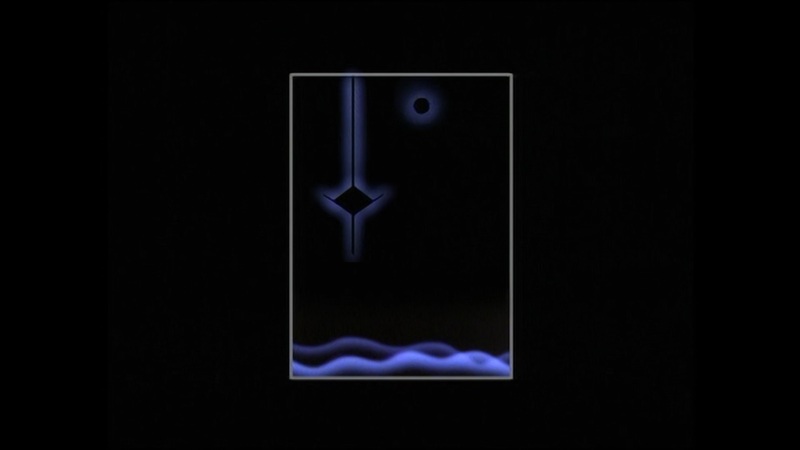 But the sequence itself fit very well together with the 30s. Great read. 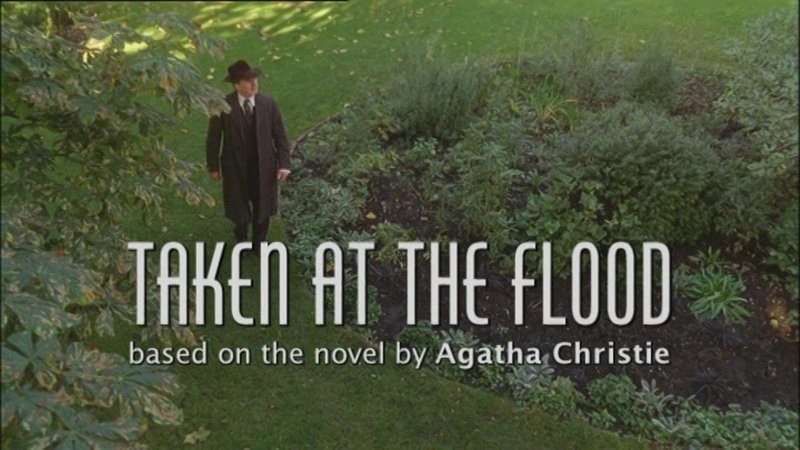 Interestingly, Tracey Waller who designs the quirky titles for each of the Marple films was commissioned to create a title for Taken at The Flood according to IMDB. 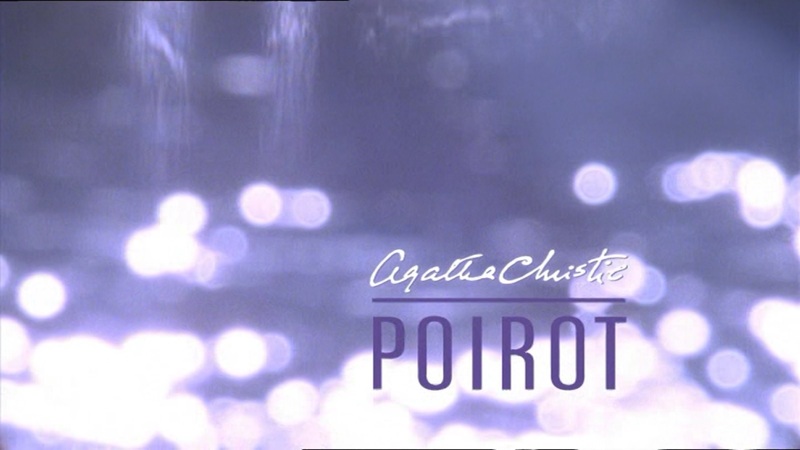 I wonder if they considered a further change in the style of the titles for Agatha Christie's Poirot. Maybe they ultimately decided to keep the white font to create more continuity throughout the series, as opposed to Marple where the titles for each episode are vastly different. I think my favorite would have to be the titles for Towards Zero. 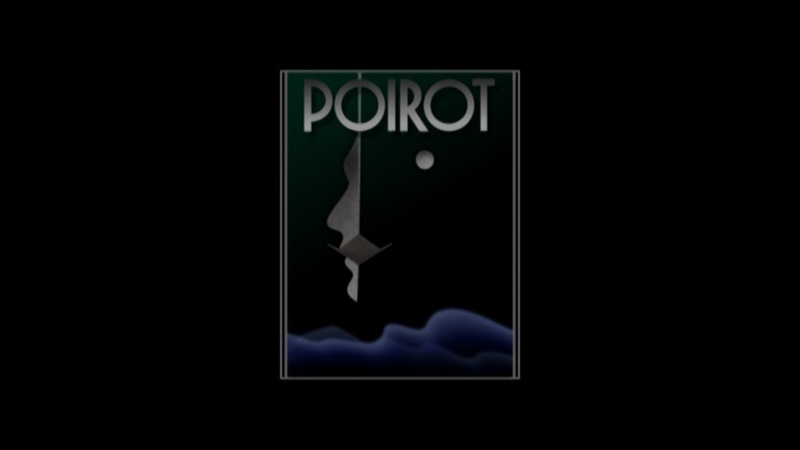 It's always a nice surprise to see the titles for each Marple film, but I agree that the white font for Poirot works perfectly the series. I guess have ultimately learnt that it's best to keep the two series as separate as possible. Yes, I think it was a wise decision to keep the two series separate. The adaptations are set in two different decades and with two very different 'sleuths', so the visual 'layout' should be different, too. There's a reason why Christie never had the two detectives meet - they exist in two different worlds (although, interestingly, there are numerous links between them in the books).